Israel's National Health System, Great! Of course nothing is perfect, but in all honesty, I must say that the Israeli health system is one of the best. Whenever I talk to people who live in the United States about what goes on there, I'm so grateful that my husband and I live here in Israel. Whether employed full-time, part-time or not at all, Israelis get to choose which of a handful or so "Sick Funds" to join. New immigrants are automatically accepted, no matter what their age or health status. When I had brought my very elderly father here three and a half years ago, I had no problem integrating him into the local clinic of the Clallit Sick Fund. The doctor and nurse invested time to discover which Israeli medicines matched those American ones he had been taking. In some cases the Israeli equivalents seemed much better. We paid extra so he'd be covered for more than the minimum, which came in handy when he needed new hearing aids, which we purchased at a discount. Not long ago, when the doctor prescribed acupuncture for my shoulder injury, it was discounted by the Kupat Cholim Le'umit sick fund, because we pay for the "gold" level. Various "over the counter" drugs are discounted for us, too, in the sick fund pharmacies. The Nefesh B'Nefesh site has a good summary of Israeli health care. The Cabinet today (Sunday, 30 December 2012), unanimously approved an approximately NIS 300 million expansion of the health basket, pursuant to the proposal of Deputy Health Minister Yaakov Litzman. The expansion will take effect at the beginning of next month. The 2013 health basket was formulated by the Public Committee on the expansion of the Health Basket chaired by Shaare Zedek Medical Center Prof. Jonathan Halevy. The 2013 health basket will focus on preventive care: For the first time, over 50,000 8th-grade girls will be inoculated against cervical cancer. Innovative drugs for the treatment of breast and ovarian cancer will be added including Afinitor, Perjeta and Avastin, as well as an innovative drug for treating prostate cancer, Zytiga. The basket will also include nuchal translucency testing and advanced pregnancy tests for various genetic diseases. Of course, there are sometimes difficulties like in any bureaucracy, but that is the same for the entire world. Nothing is perfect. My sister's reports on the challenges she faces taking care of our parents' medical needs in the United States are horrifying. The medical needs of the elderly make for very complicated decisions. Obamacare may have solved some problems, but certainly not all. Here's a quick moving, fast talking summary of what has been happening in Israeli politics on A Hebrew's Word. One thing for sure, that Bibi's outbursts prove the adage, "I don't care what they say about me, just make sure they spell my name right!" Probably this saying originated by P. T. Barnum. Likud Prime Minister Binyamin Netanyahu has done more for the NRP-Jewish Home's Naftali Bennett than their supporters' greatest dreams. He has given them lots of free publicity and name recognition. OK, it's possible that it's all in their plan, something Bibi and Bennett have cooked up in their secret kitchen. I wouldn't put anything past our wily Prime Minister. Did we have warning when Bibi and Mofaz eloped? Did we have warning when Bibi and Lieberman eloped? Bennett and Bibi are old political bedfellows. Bennett was chief of staff to Netanyahu as leader of the opposition, from 2006 to 2008. They are both totally bilingual, Hebrew-English, and could have made successful careers for themselves any place in the world. They have a lot in common but are a generation apart. Bennett is young enough to be Bibi's son. The leaking of Likud support at this stage of the campaign reminds me what what happened in the previous Knesset campaign when Avigdor Lieberman, Yisrael Beiteinu, began making very Right wing statements. Suddenly his party jumped in the polls at the expense of the Likud. Netanyahu, most probably, decided to try a new version and made a deal with him to take advantage of the same trick/technique. The two parties merged prior to the elections, but the Left side-swiped them by suddenly having the Left-controlled justice department courts to threaten indictment of Lieberman for rumors/suspicions over a decade old. That has distracted Lieberman, and he hasn't been able to play his role in the "good cop, bad cop" scenario/script he and Bibi had written. Bennett has now started playing the Lieberman role from five years ago and simultaneously take votes from Likud and Otzma L'Yisrael, the Eldad & Ben-Ari party. The big major difference between NRP aka Bayit Yehudi and Otzma L'Yisrael is that Bayit Yehudi will do pretty much anything to be in the cabinet/coalition while Otzma L'Yisrael has principles and not dreams of a Volvo aka cabinet seat and perks. So if principles are what you want from your MK, then vote Otzma L'Yisrael. Periodically I have to remind everyone that the polls aren't the "last word;" the elections are. Polls can show trends and potential but no more than that. And after over forty years of observing the Israeli political scene from up close --we made aliyah in 1970-- I can say for certain that Prime Ministers generally surprise the public with their cabinet appointments. The "pundits" are again predicting that Vice Prime Minister Moshe (Bogie) Ya'alon will be Defense Minister. Bibi didn't choose him for that position in the outgoing government and he shouldn't count his chickens this time either. Prime Minister Binyamin Netanyahu loves to surprise us. The only thing I would feel safe predicting is that there will be surprises. In the meantime, watch the latest Latma. Which "New Year" is Yours? Calendar wise, I guess I'm very schizophrenic combining both the Jewish and Christian calendars. They both frame my life, give it structure. I write checks and make appointments on the Christian Calendar, but I celebrate only Jewish Holidays and all family birthdays are according to the Jewish Calendar. Having been raised in a secular Jewish family in New York, I really didn't know anything but the Christian calendar. And yes, it should be called the that, the "Cristian Calendar." It's based on mainstream Christian belief. We did celebrate various, though not all, Jewish holidays, which fell when they fell according to the Jewish Calendar. As a child, I was totally oblivious to the fact that the two calendars weren't the same. This coming week is January 1, 2013, the first day of the next year of the Christian Calendar. The two calendars are very different, and they aren't the only calendars in the world. The Christian Calendar is solar, based on the fact that the solar year, including its four seasons, is 365 days (and one quarter 1/4) long. Every four years, an extra day is added to keep it on track. The Jewish Calendar is a lunar calendar of twelve months, which add up to less than 365 days. So it makes up the shortfall of days by adding an extra month every few years according to a very accurate formula. I'd say that the most crucial difference is a religious-cultural one. I'm referring to how people of the Jewish and Christian religions celebrate their new year. 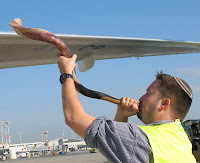 The Jewish New Year, Rosh Hashannah is a very spiritual, reflective time. It's a two day holiday of prayers and calls to wake up and repent. The month before Rosh Hashannah is Elul, a time when we are supposed to prepare ourselves for a religious, spiritual, theological inventory of sorts. That's what תשובה Teshuva, Repentance is all about. And this process culminates in Yom Kippur, the final Judgement. We need all of our faculties to do this right. The Christian New Year is a totally different ball game. It has evolved into mindless drunkenness and worse. While we Jews, work hard to heighten our awareness of our sins and apologize to G-d, promising to change ourselves for the better on our New Year, a few months later, on the night of December 31, as the clock strikes midnight and it becomes January 1, people frequently are oblivious to what they are really doing. Their senses are confused by the liquor and worse they are imbibing. I don't understand the point of this at all. It's not my mentality and no longer my culture. C'mon, let's face it. Christmas season was not a bad time of year for most committed Jews growing up in America. We sincerely wished friends and neighbors "happy holidays", took in the sights and sounds, and enjoyed witnessing the generous spirit of the season. Most importantly, we learned, as Jews, to walk and draw defined lines between faiths with dignity. Yet even with those positive memories, once in Israel, many of us found the absence of Christmas and Easter trappings and culture to be incredibly liberating. A sense of peace and joy came over us as we settled-in as Jews in our own land, with our own heritage and unadulterated holidays taking center stage. 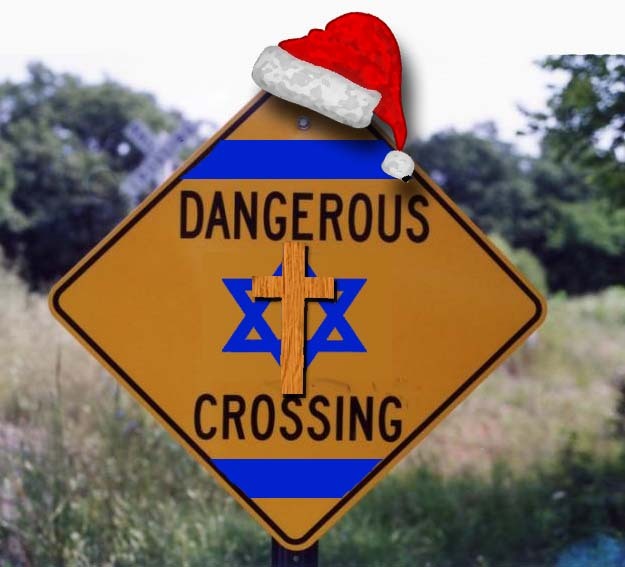 But in recent years, the Christmas culture is making determined inroads in Israel. How do Jews in a Jewish and democratic state, which depends heavily upon pro-Israel Christian tourism, welcome non-Jewish visitors during their holiday season without compromising the foundations and principals of our faith? For those of us who are concerned with the future of the State of Israel and Jewish Civil and Religion Rights in the entire Land of Israel, it is of the utmost importance that there will be a Right wing parliamentary opposition. Since the only Right wing, pro-Jewish Rights in the entire Land of Israel Party that is campaigning to be part of the coalition is Otzma LeYisrael, then we must do our best to make sure the party gets the required votes. I think of it as physics, the laws of magnets. Every magnet, whether large or small, has exactly two poles. At these poles is where the magnetic strength of the magnets is the strongest. Each pole is either north or north-seeking or south or south-seeking. Like objects (such as two north poles of two magnets) repel each other. Unlike objects (such as a north pole of one magnet and a south pole of another magnet) attract each other. The opposition parties in Israeli government have a lot of power. They function as a check/balance to make sure the government stays in the middle. In Israel prior to the 1977 elections, the Leftist Labor Party ruled. Menachem Begin's Herut and then GaHaL on the Right of the political spectrum kept them in check and prevented the destruction of Jewish communities. The Leftist Labor could only go so far, because there was a strong Right Opposition. Once Begin and his Likud were voted into power, the strong opposition was on the Left, and that is one of the reasons that the Israeli "Center" has pulled so far to the Left. So called Right Likud Prime Minister Binyamin Netanyahu's policies vis-à-vis the Arabs is far to the Left of what was once the Left here. When Begin made his Peace agreement with Egypt's Sadat, there were a few breakaway MK's and others who formed Tichya and were a vociferous opposition for a short while. Then they made the mistake of joining the cabinet and opposing Rabbi Meir Kahane's more extreme Right party from running. They didn't pass the minimum vote threshold in the following elections. The Moledet Party, further to the Right, did. On the whole, over the past thirty-five years since Likud won its first election, the Right Opposition has been weaker than the Left. 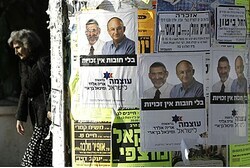 In a few weeks Israel is again having Knesset Elections. Israelis do not vote for a Prime Minister. We vote for parties running for seats in the Knesset, our parliament. Once results are in, the Israeli President polls the parties to see which party's "number one" has the best chance of negotiating a coalition government. Then the President asks that MK to attempt to form a government. Recent polls indicate that the Likud will get the largest number of votes/seats, so Netanyahu will most probably continue as Prime Minister. Some of the other parties are campaigning that they either hope to make a deal with him or promise that they won't join the government under any circumstances. Most of the Left wing parties are claiming that they would not work with Netanyahu, but that could just be their campaign, until he ups his offers and reminds them that they would just be forcing him to give the NRP aka Bayit Yehudi (Jewish Home) Party more power. Rain, Do We Deserve the Blessings? Has It Really Rained "Enough?" The media here in Israel has been reporting excellent rainfall here in Israel, a great start to the winter. December 2012 continued to break precipitation records over the weekend, as heavy rainfall across central and northern Israel filled the Sea of Galilee, swelled rivers and streams and brought 60-70 centimeters of snow to the summit of Mount Hermon. The Sea of Galilee has now seen the largest December increase in the last 20 years*, rising 18 centimeters over the weekend. The Israel Water Authority estimated that the level would rise a further 7 centimeters on Sunday from runoff, bringing the total level to 212 meters below sea level. The current mark is still an immense three meters, however, below the lake’s “upper red line” – 208.9 meters below sea level — at which the Degania Dam is opened to allow an increased flow into the Jordan and prevent the lake from flooding the city of Tiberias and other towns along its shore. In actuality, I don't think this amount is all that exceptional. We have had insufficient rain for the past twenty years. This year's rain isn't all that much compared to what we used to get in a normal year. It's just after a drought of many years, it seems like a lot. I remember when heavy rains on Succot weren't rare, and you couldn't make outdoor plans for Chanukah. Our weather is usually according to the Jewish Calendar, and this is one of the years when the Jewish dates come earlier on the goyish/Christian calendar. That means that December is more like late-December early January and should be compared to that time of the year. And when we do that, I don't think the amount of rain and the height of the Kinneret are all that exceptional. For those who don't know, Israel only gets rain in the winter. Generally our rainy season, according to the Jewish Calendar, is from just after Succot (early October) until just before Passover (early April.) It's not unheard of for there to be rain during Succot and even a month after Passover. I've even experienced quick rainfalls in late August. Chazal, our sages tell us that the quantity of rain, and its timing, are given by G-d according to how well we the Jewish People keep His Torah and obey the Mitzvot, Commandments. As an agricultural people, the quantity and timing of the rains are extremely important, crucial for our lives and economy, even today. Modern life is very water wasting. The Israeli Government over the years has had been forced to raise the price of water to try to get people to use/waste less. One of the media encouraged campaign issues against the Likud has been the price of water. Every day the media here promotes another anti-government special interest group exaggerating government blame for something or other. Last night they had a tiny group of people, mostly handicapped, claiming that they couldn't afford to take a shower. They blamed it all on Bibi of course. That's politics. But I have no doubt that if we would all respect the Land as a Jewish Land given to us by G-d for living and building for Jews, we'd have more rain, water and even cheaper housing. Simply put, that's the key. Israel's "Laws of Nature" are a bit different from what you'll find in the rest of the world. Many people have signed up to attend the third annual conference on applying Israeli sovereignty in Judea and Samaria (Shomron), to be held the evening of Tuesday, January 1st at the Bible Lands Museum in Jerusalem. The theme of this year's conference is "From the Edmond Levy Report to Sovereignty". The Only Logical, Legal Way to End the "Occupation" sic is to Declare Israeli Sovereignty on all of the Land liberated in the miraculous 1967 Six Days War. There is nothing immoral in a multicultural country, which Israel is. The only thing immoral is the lack of Israeli sovereignty on the Land that miraculously was was liberated in a war of self-defense. Israel, foolishly IMHO had no plans to conquer the Land that had been stolen from the legally promised Jewish State more than a generation earlier. The original international promise that the Jewish Biblical Homeland would become a state was certified in the Balfour Declaration in 1917. After that, the British began to backtrack, and now almost a hundred years later, the British Government is among the leaders of those that do all in their power to force Israel to support an Arab terror state in the heart of the Land of Israel. The backtracking has been more than diplomatic. In 1921 Great Britain transplanted the Arabian Hashemites to the eastern side of the Jordan River and invented a new country, Jordan. Hashemites, from the Arabic Hasimi (هاشمي), are descendants of the ancient Banu Hahsim, or the Clan of Hashim, a large branch of the Quraysh Tribe of Mecca in the Arabian Peninsula. Hashemites trace their origin to Hashim ibn Abd al-Manaf, who died in c.510 AD, more than a century before the advent of Islam. He was reportedly the great grandfather of the Prophet Muhammad. Today, the Hashemites are best known as the rulers of Jordan. They had ruled the Arabian Peninsula until they were driven out by the more religiously austere Wahhabi-backed Saud family with the fall of the Ottoman Empire. In April 1921, Abdullah ibn Hussayn negotiated with then-colonial secretary Winston Churchill to be the administrator of British-occupied Trans-Jordan (present-day Jordan), thus removing Trans-Jordan from the implications of the Balfour Declaration. The Hashemites are the real occupiers in this part of the world. They don't belong here at all. Israel's delaying the application of sovereignty is the cause of the uncertainty, lack of stability we suffer from. Arabs living here don't know what to make of it and therefore find themselves supporting the terrorists, because there is no real alternative. There's a vacuum. In places where Israel is firmly and legally sovereign it's much safer for all, and that includes Arabs. The standard of living is higher for Arabs where Israel is fully sovereign. That's why Arabs are happy to work for minimum wage in places like Sha'ar Binyamin, rather than in the Arab towns and cities nearby. An Arab woman, an English Teacher spoke to me at my job in Yafiz, Sha'ar Binyamin, and told me of the pitifully low salaries given to teachers in Jenin and Shechem. They are much lower than the Israeli minimum wage. We've all heard of how Arabs will do anything to get into Israeli hospitals, because our health care is better, the best in the middle east. Not only Jews, but Arabs, too, will benefit from Israeli sovereignty in Judea and Samaria. Maikel Nabil Sanad, Blogger of Hope or What? Maikel Nabil Sanad certainly stands out in a crowd, the crowded news world of the Middle East. He's an Egyptian Copt Christian who has nothing against Israel, apparently. Sanad is making Jews happy, but his fellow Arabs are outraged. 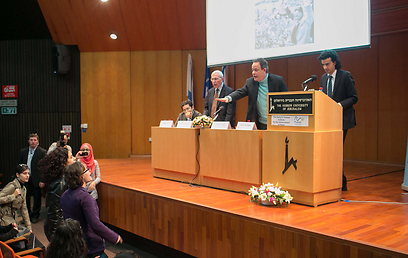 Consider that Israeli Arab students in Hebrew University loudly booed him when he spoke there. "The Egyptian dictatorship tries to hide us and pretend such people do not exist, but we are present in Iran, Saudi Arabia, Morocco and Mauritania though the media does not report it. "My second objective is to show how the situation in Egypt, Israel and Palestine is connected. My friends and I understand that we will not obtain peace without democracy, or have democracy without peace." That means that Sanad is really a loner and doesn't have much of a following, even among Israeli Arabs. He's cashing in on the fact that Israelis want to hear that there's a chance of peace with Arabs. It's very dangerous for Israel to make too much of people like Sanaad. It would be nice to think that he represents a "silent majority," or even a sizable minority in the Arab world. That would play well in the la la Left ideology. Don't forget that Sanad can't live safely in his native Egypt. He presently lives and studies in Germany. We must remember that we will not achieve true peace by conventional logic. And we mustn't make too much of Arabs like Sanad. The road to true lasting peace isn't simple. We're far from it when a person like Sanad isn't publicly supported by his fellow Arabs. Israel spends too much time publicly groveling, begging the Arabs to make peace with us. That just causes them to feel more confident that they are winning and we are losing. And nobody likes to support a loser. For true peace, we must stand tall and make demands. We must state that the onus, responsibility to make peace is on the Arabs. They are the sole guilty party, and that we have the patience to wait for them to recognize that we are the rulers of this Land. As many of you know, I study Tanach, Bible in Matan, an excellent Jewish learning center for women in Jerusalem. Last week one of my classes celebrated a siyum completion of the Book of Samuel, Shmuel, which we learn with Dr. Yael Ziegler. We were asked to volunteer to say a "few words" about our studies. And, yes, I volunteered. I decided to speak about King David as he prepared to fight Goliath. At the time, nobody was aware that the young man who approached with supplies for his elder brothers was the "king in waiting," the person that Samuel The Prophet had already anointed to succeed King Saul. And that included King Saul, himself. "Where were you? I expected you to save me." "I sent out evacuation orders, the boat and then the helicopter, but you stood there like an idiot." "Why did David need to take five stones, if he could kill him with one?" That question hasn't left my mind. Just three days later on Shabbat as I was reading the Torah Portion of the Week, Vayigash, in the OU's Torah Tidbits, by Phil Chernofsky. This includes the dramatic speech of Judah to the Viceroy of Egypt, when he stands up to him, man to man, which causes the viceroy to break down and admit that he is their missing brother, Josef. At the reunion, Phil mentions, Josef cried five times. Five? My mind went into overtime. There has to be a connection, because the difficult relationship between Joseph and his brothers precedes and predicts the later problems between King David and the King Saul. King David was from the Trible of Judah, and you can see that in how he stood up to Goliath, King Saul and the entire Jewish Army. And could Joseph have cried, because he sensed that he wasn't the leader Judah was? Maybe that's why Joseph and his only full-brother Benjamin cried so on each other's necks. Their father had raised them to believe that they were the natural leaders, but they weren't. True Jewish leadership comes from Judah and was inherited by David. The Truth is Out, NRP's Bennett, Paraphrased: I Will Do Anything for a "Volvo"
I'm not all that surprised by the way things are going as the Israeli Knesset Elections get closer. Since a very sizable portion of Israelis are Right and religiously traditional it's no real surprise that the newest version of the veteran National Religious Party aka Bayit Yehudi has pulled into third place according to the latest polls. A new Channel 2 News and Dr. Mina Tzemach says that if the elections were held today, the Beit Yehudi, national Religious party, would win 12 seats, making it the third largest party in Israel. The rise of the old religious Zionist party is fueled by the mass desertion of Likud voters. The Likud-Beiteinu list, which today holds 42 seats in the Knesset, is down to 35 in Wednesday’s poll. Straight out of the late Yosef Burg's book, it's new young leader Naftali Bennett hasn't been shy about making it clear that he plans on being in the cabinet. This is a very central part of the Bayit Yehudi campaign, so Bennett found himself challenged by Bibi and other Likud leaders, a month before elections. Meanwhile, Likud ministers are continuing to attack Bennett for the statement, following the lead of Prime Minister Binyamin Netanyahu, who said Friday he would not let people who advocate refusal of orders into his coalition. Saar said in a public interview panel in Holon Saturday that Bennett should never have said what he did. "We live in a country that cannot exist for even one moment without the Israel Defense Force and the IDF's existence depends on carrying out orders from the political echelon," he explained. "A public figure who serves as a personal example must not talk about refusing orders. That is the difference between an approach that respects the state's sovereignty and one that does not. Placing my own world view before the democratic principle is a very serious matter. This is particularly true in a heterogeneous society like Israel's. The democratic principle and playing by the democratic rules – that is what keeps us together." I wasn't surprised when Bennett made a special, carefully worded announcement which is meant to placate Netanyahu and buy himself a "Volvo*" in the next Likud led government coalition. Bayit Yehudi leader Naftali Bennett said in the course of an interview broadcast on Thursday night that if, as a reserve officer, he was given orders to expel Jews or Palestinians from their homes that he would approach his commanding officer and asked to be assigned to a different activity and that if that did not happen then, while he would not tell others to refuse to follow the orders, that he would himself, on a personal level, find it impossible to carry out the order and would accept punishment for that. In an interview on Friday afternoon broadcast Saturday night on Channel 2 television, Prime Minister Binyamin Netanyahu stated that someone who is "adamant on refusing orders" could not serve as a minister in his government. Tonight, at a press conference, Bennett said that "I did not call for the refusal of orders...I spoke from the bottom of my heart and I do not apologize for my remarks. However, I'm not a private person but a public leader, and now I say this as clearly as possible: a command to uproot an Arab village or Jewish community from its roots is a fatal blow to the most basic of human rights...it is an unbearable dilemma. I pray with all my heart this it will never be given, but if this extreme situation is reached, I say clearly: a soldier must fulfill military orders. " The big difference in the MK's, at least the male ones, is that with the NRP, the kippah is more on the head than in the pocket. I will certainly admit that the platform of the NRP sounds good. It sounds very similar to that of Otzmah L'Yisrael. The big difference is that NRP thinks that it can influence the government from the inside. They claim that being a cabinet minister is important. They try to give the impression that Netanyahu actually consults with all the cabinet before making decisions. They want the voters to believe that Netanyahu really cares what the ministers and assistant ministers think. They are wrong, very dangerously wrong. The job of the cabinet and the coalition MK's is to support the Government, vote according to party line and not question Prime Minister Benyamin Netanyahu. We've just seen now during the election campaign how easily Bibi got Bennett to jump through a hoop. So, don't waste your vote. If you really want to change the world, save the State of Israel, then vote Otzmah l'Yisrael! *Volvo, the chauffeured car, a perk for ministers. Today there may be a different make of cars, but the meaning is the same. With two recent shooting attacks in the United States, twenty-six people killed in Connecticut and four in Pennsylvania, in barely a week, the calls for gun control are getting louder. It won't be easy to enforce gun control laws without major changes in American life. In Israel we have strict gun control laws. Even though a larger percentage of the Israeli population learn how to use a gun when in the army, very few civilians actually own guns. And to own a gun in Israel isn't simple. Click here for the Hebrew government's link. You need a license from the police to buy a weapon. You have to prove there's a need to own a private weapon. You have to know how to shoot and prove it, too. You must be literate in Hebrew. You must bring in medical certification that you are mentally and physically healthy. You must be over twenty-one if an IDF veteran and even older if not. The gun license is renewed, for a fee of course, every three years. The procedure includes a shooting test. And if the gun is to be kept at home, it must be in a special safe. It in Israel it is forbidden to have guns, rifles etc hanging on the walls as decorations. After a gun owner dies, the police contact the family, confiscate the weapon and instruct the family to sell it. Now, you may be wondering, how does the police know that someone has died*. All Israelis have identity numbers. These numbers are more important than American Social Security Numbers. At the age of sixteen, Israelis must go to the Ministry of the Interior to apply for a Te'udat Zehut, Identity Card. These are photo-identity cards. If one doesn't look like his/her photo, then the card, because of age, it must be changed. We use these numbers for everything imaginable. They are on our bank accounts, registering for tests, medical issues, pensions, etc. And we show our Identity Cards to vote. We are assigned to a voting station according to the address on our ID. For those who actually live someplace else, like my single kids, they can get free bus passes from where they live to the location they vote. Voter fraud is harder to pull off in Israel because of this law. For the United States Government to really be effective in restricting gun ownership, they will need to institute a system like we have in Israel. Without required identity cards, and you can use the Social Security Number, which already exists, it will be too hard to identify and keep track of people. These sorts of changes will take many, many years. Are Americans really willing to do what it takes to make these changes or do they prefer to see guns owned and used by those who abuse them and murder others? *Apparently the police keep track of the ID numbers of weapons holders and are notified when the person dies. This week's program is especially good. Caroline Glick, thank you for Latma! Honestly, it really doesn't bother me what the world thinks of Jewish building for Jewish Life in the Land of Israel, places like Shiloh. Let others say whatever they wish, because we have been here in Shiloh as Jews long before their societies wherever. I don't expect the world to approve our building. They didn't condemn Hitler and the Nazis for trying to annihilate European Jewry. They only mouthed "condemnation" after the Nazis had been defeated. I have no doubt that most of the world would have had been perfectly happy if Hitler had murdered many more than the six million Jews who died because of his policies. So, let them continue to condemn us. France says settlement building plans calls into question Israel’s commitment to peace; Ashton issues veiled threats. Israel continued to take a pounding overseas on Thursday for announcements of construction activity beyond the Green Line, with EU foreign policy chief Catherine Ashton issuing veiled threats, France questioning Israel’s commitment to peace and Quartet envoy Tony Blair issuing a sharp denunciation. They have no moral authority, as far as I'm concerned. One of the most striking projects in Shiloh is at Tel Shiloh, being built by our tourist office, Shiloh HaKeduma, Ancient Shiloh. It's to be a state of the art structure overlooking Shiloh. There will be some sort of movie that will teach people about Ancient Shiloh at the same time that they can view modern Shiloh. Samaria." Unfortunately Israeli politicians are more swayed by the the extreme Lefties who control the media here. But I hope they recognize that most Israelis are actually on the Right of the political spectrum. That's what the polls continue to show. No doubt that Prime Minister Binyamin Netanyahu's proclamations that he'll be building are for the Election campaign because he wants votes. That's the name of the game... The United Nations, United States, European Union ad nauseum don't vote in Israeli Elections, B"H, thank G-d. The Jewish population in Judea and Samaria is growing rapidly. We need homes and commercial centers and schools. Include that in our human rights campaign. We're human; aren't we? Here are a few local building projects. Some are just home expansions, and others are larger, including a multi-family homes. To break a commonly believed myth, I must say that there were maybe a couple of minutes in time, besides when the only Jew was Avraham Avinu, Our Forefather Abraham, when every single Jew followed G-d's Commandments. Those few minutes, or seconds were at that magic spiritual moment when G-d spoke to the Jews who had exodused from Egypt, and the Jewish People, including the souls of all Jews to be born for eternity, answered נעשה ונשמע "na'aseh vinishma," "we will do and we will listen." That was the pledge that cemented our relationship with G-d. But before then and since then, there have always been Jews who, for whatever reasons, ignored, disobeyed or were totally ignorant of the mitzvot commandments G-d has given to us. Not only have there been individual, personal refusals to follow the mitzvot, but over the millennium various alternative "versions" of Judaism have emerged. Christianity is actually one of them, and even Islam in a sense is one, too. Christianity claims to keep our Jewish Bible, but they added another volume and customs which directly contradict Judaism. Islam adopted some of our history and forefathers but distorted them. And there are the more modern versions of Judaism, like Reform, Conservative, Liberal, Reconstructionist and various Chassidic and even Chareidi sects which contradict the basic mitzvot. Yes, I may surprise you by saying that there's a distortion of Judaism in the Judaism practiced by some Chassidic and Chareidi Jews. Chassidim consider their Rebbe to be at best an intermediary between themselves and G-d, which is very problematic. Some of the Chabad/Lebovitch have gone even further and worship their dead Rebbe as Moshiach, Messiah. This is extremely problematic according to Jewish Law. 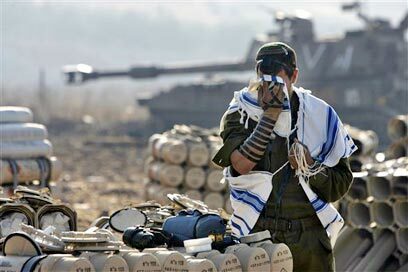 IMHO, Chareidi Jews have adopted certain non-Jewish customs, like the one saying that "men of the cloth*," yeshiva students, those dedicated to religion shouldn't defile themselves by serving in the army. And their insistence that it's preferable to learn full-time and never to work, learn a profession goes against basic Jewish Law. Jewish Life, like the Jewish Calendar, which combines the Lunar and Solar Calendars, is supposed to combine kodesh and chol, the holy and the material/profane. We must know how to separate it, keep Shabbat versus doing the ordinary, real life stuff of building, creating etc during the weekdays. Now, how did I get onto this topic? I saw an article on Arutz 7 that the leading candidates to be the next Chief Rabbi of Israel are from the National Religious community. They are those who teach a Judaism more like what I believe in, including seeing the mitzvah in serving in the IDF and the importance of the State of Israel. How Many of These Do You Find in Arab Countries? Today I went to the Old City of Jerusalem with family. Just outside of Sha'ar Yaffo, the Jaffa Gate were lots of tables with colorful awnings. They are all decorated for Xmas. Christians here in Israel are given lots of freedom of worship. I also noticed the variety of religious items on display at the various stores in the Arab Market of the Old City. Yes, Jewish and Christian items share the shelves in many of the stores. You certainly won't find this sort of display in an Arab country. So, where, in which country in the Middle East do people of all religions have the opportunity supported by law to practice their religion without persecution? Chanukah: And What is Heroism? Taking Bets- Will Bibi Build or Won't He? ...And When Will We Ever Learn?